Monalisa’s life journey with massage began 18 years ago in India where she was able to work with Mother Teresa at one of her homes for small children, “Nirmal Shishu Bhavan” in Calcutta. During that time of study and practice, she learned massage for children, babies, and adults. While witnessing the life-changing effects of massage, Monalisa came to realise its therapeutic power and this profound experience encouraged her to devote her life to healing work. She has dedicated her time to study and practice massage, yoga, ayurveda, nutrition, alternative medicine, and vedic medical astrology. 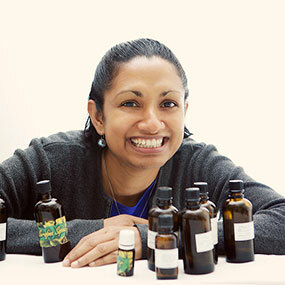 She hold a diploma in Remedial Massage and a Certificate in Ayurveda. When not in the practice, Monalisa is passionate about herbs, essential oils, birdwatching, and painting.